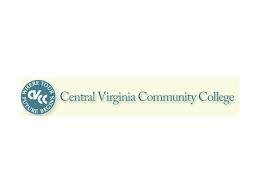 Central Virginia Community College, a two-year institution established as a member of the Virginia Community College System, provides State-supported educational facilities beyond the high school level for the cities of Lynchburg and Bedford and the counties of Amherst, Appomattox, Bedford, and Campbell. The curricula and programs of the College serve more than 228,000 people within this geographical jurisdiction. With academic excellence its aim in all areas, the College offers various programs to meet the diverse needs of the region it serves. Its two-year college transfer programs in arts and sciences and in certain pre-professional areas lead to associate degrees and offer courses generally acceptable for transfer to four-year institutions. Its occupational and technical programs lead to diplomas, certificates, or associate of applied science degrees and are designed to prepare individuals for certain professions. Its other programs, including developmental work, special training for industry, and community service, offer instruction commensurate with the needs of individuals, groups or the area at large.